This home of Eric and Jennifer Bryla exemplifies the mix of non-traditional elements with vintage “found items” that can be found on this year’s Holiday Home Tour in Fredericksburg, featuring seven unique properties open for the public to view on Saturday, Dec. 3 from noon to 6 p.m.
Organizers have announced the addresses and descriptions of the seven properties being featured in this year’s Holiday Home Tour of the Gillespie County Historical Society on Dec 3. The Holiday Home Tour features seven unique properties festively decorated for Christmas. The homes will be open to visitors from noon to 6:00 pm, and volunteer docents will explain features of each home’s furnishings and interior design. Homeowners opening their homes for the tour are: General Mike and Silke Hagee, Eric and Jennifer Bryla, Tom and Janice Christofferson, Danny and Jill Elliott, Chris and Kelly McDaniel, Mark and Susan Wheeler, and Hugh and Becky Reeves. General Mike and Silke Hagee 1011 Homestead Drive In consideration of Silke’sGermanyheritage, this home features the original local German stone architecture, but with a modern, open feel. The main living area is adjacent to a large covered porch. Two additional round patios complete the outdoor living area. A separate study for each spouse provides the opportunity to display some of the memorabilia from their years in the Marine Corps. The master bedroom with access to the back porch and two separate bathrooms with walk-in closets make for relaxed, easy living. Eric and Jennifer Bryla 250 Homestead Drive Varied non-traditional textures and materials are used unexpectedly to create a clean, custom, and lighthearted feel throughout the house. The design uses vintage “found items” as built-in fixtures. Reclaimed barn wood is used on some of the walls and ceilings and the floors are cement. The 150-year-old glass doors leading into the master bedroom are unique as is the heated tile floor in the master bath. The consistent color palette is the perfect backdrop for displaying the original artwork of Jill Holland. An abundance of large windows and doors provide a multitude of views and vistas. Tom and Janice Christofferson 505 WestAustin This original Town Lot property was first owned by Fuchs Waise. It changed hands three times before being divided and sold in 1903. In 1927 the home was purchased by Edgar and Erna Crenwelge and remained in the Crenwelge family for nearly fifty years. When the Christoffersons acquired the property in 2004, they enclosed the backyard with Victorian fencing. Subsequent projects included moving an old Model-T garage to the back of the property and adding an art studio above. A screened porch and patio were completed in 2011. The home features pieced bead board in the kitchen, wooden spools on the stair handrail, and original glass panes in many of the windows. Decorations for the holidays reflect the home’s simple farmhouse roots and the owners’ Scandinavian heritage. Danny and Jill Elliott 271 Smokehouse Road The home of Jill and Danny Elliott was built around 1911. It sits on sixteen acres and features a hand dug well under the windmill. The original rock house had only four rooms. In the 1950s, the Moldenhauer family added a large downstairs kitchen and living area with the west fireplace wall constructed with salvaged rock from a nearby structure. A large, all-purpose room upstairs was also added, along with bathrooms upstairs and down. After purchase by the Elliots, the house was gutted and remodeled. They added eight feet to the rear of the house, raised ceilings, replaced and/or refinished all the wood floors, custom built the kitchen and bathroom cabinets from salvaged wood, and added a large double back porch. Chris and Kelly McDaniel 514North Adams The original red tin roof at 514Adamsis one of the many compelling features of this one-story cottage within walking distance ofMain Street. Chris and Kelly decided to keep the original house frame intact. They demolished the old kitchen, removed walls, added a fireplace, and built new cabinets. They removed closets from the hallway, letting in natural light, then provided an entrance to the new screened porch at the rear of the home. Additionally, the McDaniels designed and built a rock guesthouse for visitors and family. Mark and Susan Wheeler 206 West Travis The Wheeler Home at 206 W. Travis was built in the early1920s. The home’s most beautiful and outstanding feature is its original pressed tin. A major remodel in the 1980’s added a larger living area with a fireplace, and a larger master bathroom to the home. Another feature is the wraparound porch, and the front porch also has the pressed tin on the ceiling. Other interior features include long leaf pine floors and original double hung windows with the original glass. New granite countertops were added in the kitchen and the bathrooms. A guest cottage was added in 1994, maintaining the look and feel of the main home. Hugh and Becky Reeves 103 East Schubert Located in the heart of the historic district on the banks of Town Creek, the property was the original site of the City Mattress Company. The property remained vacant for 20 years until 2007 when it was divided into two lots. Hugh and Becky Reeves purchased the lots and built a stone façade home with metal roof, a two story great room with exposed trusses and wooden ceiling, a gourmet kitchen, a deck with fireplace overlooking the creek, an oversized garage and a brewery. The stone from the Sisterdale quarry has been weathered for over 50 years to blend with the stone of the 1880 houses across the street. The high Douglas fir trusses in the great room are mortise and tenon construction fastened with 1-inch hickory dowels. The ceiling isTexasyellow pine. The hardwood floors are hickory and the cabinetry is all knotty alder. Tickets for the Home Tour are $25 per person and include tour booklet and access to each property. 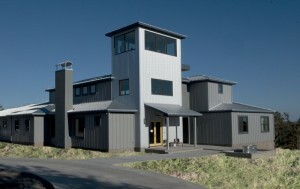 Tickets for the Holiday Home Tour are available online at www.pioneermuseum.net or by phone at 830-997-2835. Purchasers can also pick up Home Tour tickets at Gastehaus Schmidt, 231 West Main Street, and at the Pioneer Museum offices, 312 West San Antonio Street, Fredericksburg, Texas 78624. Tour tickets are available up to the day of the event. On the following Saturday, December 10, guests can enjoy the Tannenbaum Ball with the theme of a “German Christmas.” Guests at this exclusive evening will enjoy a catered three-course dinner, entertainment by The Flying GTs, a live and silent auction. The ball takes place at the Pioneer Pavilion at Lady Bird Johnson Municipal Park. Individual tickets for the ball are $100. Attendees may purchase underwriter table reservations that seat ten persons ranging from $1,500 to $10,000. Ball tickets are available at www.pioneermuseum.net or by calling 830-997-2835, and should be purchased by Dec 6.